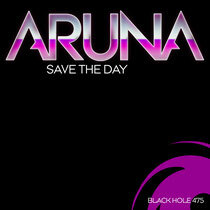 Aruna will release her single 'Save The Day' on October 8 on Black Hole Recordings. A poignant break-up song, 'Save The Day' tells the story of that moment you realise the magic has left a relationship and isn't coming back. Having gone through the experience herself, Aruna says that moment tends to be even sadder than the breakup itself. "It's like the death of innocence or the loss of hope," Aruna says. "One thing I like in particular with this song, though, is the contrast between the title and the actual lyrical content. It sounds so triumphant and heroic when you hear the title but when you actually start digging inside the lyrics, it's the complete opposite of that." 'Save The Day' follows Aruna's debut solo single, 'Let Go,' which was released on Anjunabeats in 2010. Touted by Above & Beyond's Tony McGuiness as "one of the most talented singer/songwriters around at the moment," she's penned a chart-topping single recorded by Miley Cyrus for the multi-platinum selling #1 Billboard Hannah Montana soundtrack and recently added DJing to her skills. Trance Around the World, the radio show produced weekly by Above & Beyond, showcased Aruna's talent for track selection and mashups when she hosted the guest mix on August 31. Not content to be pigeonholed into one specific genre however, Aruna has been honing her pop music writing skills--on her own tracks and for other recording artists as well. She'll soon step foot in the studio to begin producing her next artist album and will continue to perform around the world. "I was honoured to be the first solo female asked to provide a guest mix for TATW," she says. "It's been a huge goal of mine ever since I started DJing."